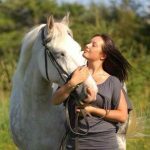 Find out the ins and outs of running a Livery Yard or more about Equine Psychology and Behaviour course with Tutor Hannah Haskew MSc. Check our page of Intermediate Diplomas with Specialist courses. Looking to run your own yard – check out the Livery Yard Managers course. Need to be confident about treating those wounds on your horse? – check out the Equine First Aid & Ailments course. Want to be a more successful rider then check the Specialist Course with Martin Murphy & Emma Corbett.